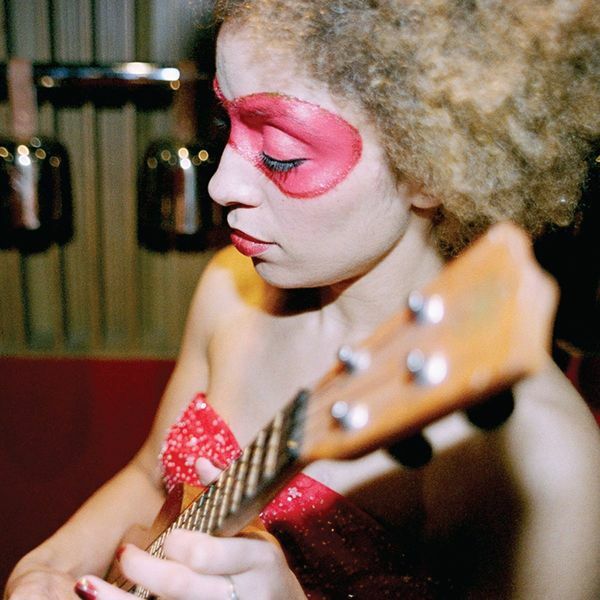 A live-recorded new album from Martina Topley Bird, famed for her memorable collaborations with the likes of Tricky, Massive Attack and Diplo as well as her own solo work. This album offers new renditions of tracks from both the Mercury nominated Quixotic (her debut solo full-length) and the Danger Mouse-produced The Blue God, with a further four new songs thrown into the bargain. The unfettered purity of the recordings suits Martina's voice perfectly, adopting unusual instrumentation and pared-down arrangements that emphasise the strength of her central performance. A strong percussive presence proves important to the record's success, with songs like 'Lying' relying on the hand-played rhythms of a tabla while 'Intro' adopts minimal electronics and loop pedals to a similarly striking effect. While there's a close-up, simple intimacy to much of the set, (peaking with the incredible multilayered acappella of 'Ilyah') a song like 'Sandpaper Kisses' opts for a heavier, more atmospheric approach, adding swathes of echo and hypnotic, brooding guitar riffs. Deeply varied, organic and a great showcase for the extent of Martina Topley Bird's talents as a solo artist, Some Place Simple comes highly recommended.